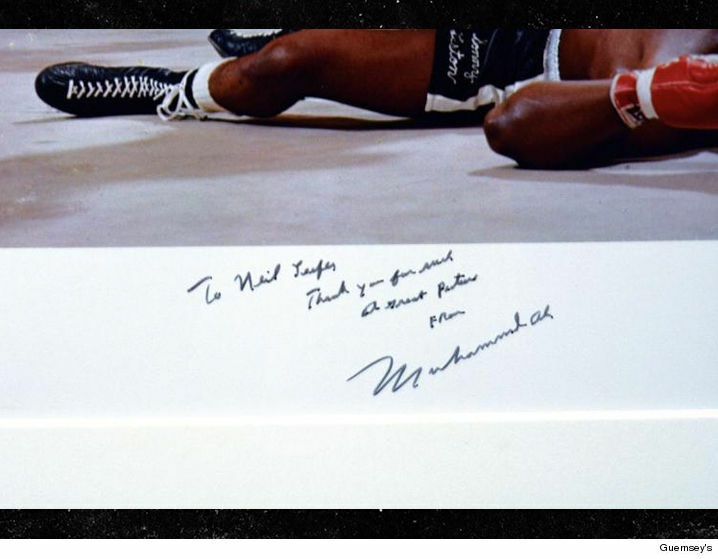 Home Muhammed Ali Muhammad Ali Liston Knockout Pic Hits Auction... Could Sell For $600k!! 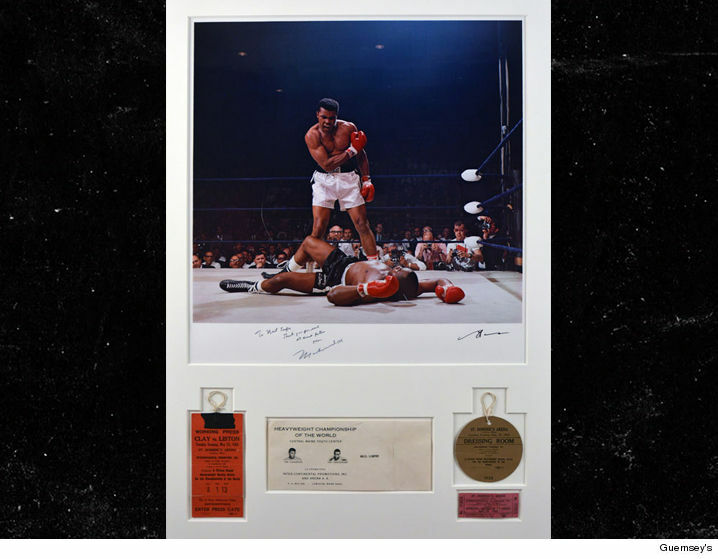 Muhammad Ali Liston Knockout Pic Hits Auction... Could Sell For $600k!! Now's your chance to own one of the most iconic images in sports history ... if you have more than half a MILLION dollars layin' around. Muhammad Ali's iconic knockout picture from the 1965 Sonny Liston rematch -- the original print taken by famed photog Neil Leifer -- is hitting the auction block this weekend. The starting bid is $160,000 ... but the folks at Guernsey's Auction expect the winning bid could reach $600k. We can't overstate the significance ... the punch that felled Liston is LEGENDARY (and controversial ... "phantom punch") and conventional wisdom is that it's the moment that launched Ali. The photo comes with a handwritten message from Ali -- who was Cassius Clay at the time -- to Leifer, as well as the original press credentials from the event. The live auction will go down this Saturday at NYC's Bohemian National Hall. Bids can also be placed online.